Healthy Hotties: Love my Kidneys! The main role of the kidney organs is to filter the blood and to send waste to the urinary system for removal from the body. In our modern society where we are bombarded with toxins in our environment and food supply, the kidneys’ are overloaded in an effort to maintain a balanced internal environment. A dialysis machine provides the artificial filtration of our blood to maintain it free of urine, as this condition is deadly. 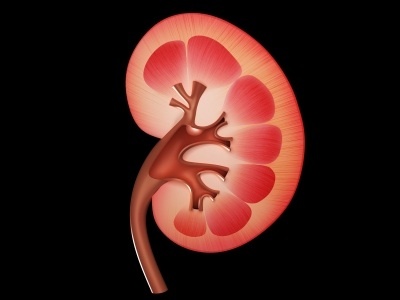 The modern rise in the need for dialysis reflects the burden on our kidneys. The number of dialysis patients is twelve times higher in diabetic population than in the population in general. (Oxfordjournals.org; October 26,2004). This statistics indicates that the increase in renal failure is primarily due to a diet high in processed foods and sugars. The same toxins found in modern foods cause both diabetes and kidney failure. The first thing we should be aware of in renal health is to minimize the dependence on modern diets, ie. fast food & convenience foods, and to return to consuming more whole foods in their natural forms. There are many naturally occurring foods that will support the health of your kidneys but a few simple rules should be kept in mind. The best and easiest cure is prevention. To maintain your kidneys, avoid foods that are heavy in protein and drink plenty of water. Protein is hard on the kidneys as the kidneys have to dilate blood vessels to allow the protein through and protein contains very little water. Protein, made up of amino acids, is the building block for our muscles and is necessary for growth but dependence on fatty meats is far too common. To avoid taxing the kidneys, the sources of protein chosen should be lean meats or vegetable, protein needs are approximately 1g/kg of weight but individual needs will vary depending on level of activity and age, for a definite answer please consult a nutritionist for a thorough evaluation. And drinking pure, filtered water is a must. A quick calculation on water needs is to consume half of your weight (in pounds) in ounces everyday, ie. a 120 pound individual should consume 60 ounces of water per day. Individual quantity needs will vary based on environmental temperatures, activity of the person or whether pregnancy or breastfeeding is an issue. An excellent online calculator can be found on About.com. In addition to minimizing protein and maximizing water, is the accumulation of vitamins and minerals in the diet. The best sources of both are brightly coloured fruits and vegetable. Allopathic medicine believes in the avoidance of sodium in the diet but complete avoidance is an error, as sodium is necessary in many bodily functions and total avoidance will create a host of serious health issues. Our daily need of this mineral is very small and the proliferation of sodium in our food supply is quite large and steps should be taken to minimize the harmful effects of sodium on the kidneys, but not to entirely remove it. Specific foods which are helpful in kidney ailments are foods which will incorporate water and nutrients, particularly antioxidants to remove any existing toxins in the kidneys. Good food choices will be watermelons, cranberries, blueberries and grapes. Nutritional powerhouses for renal health are red bell peppers. These foods also have the added benefit of being high in fiber. Fiber and water are needed to flush the toxins and free radicals from our bodies and maintaining the health of our kidneys, as well as all of our organs. Cleansing the kidneys can be accomplished by lemons, garlic and onions. These foods contain anti-microbial and anti-septic properties and have the ability to flush the kidneys. Of particular benefit will be warm lemon water every morning. This will not only flush out the kidneys but is also effective in bile production for improved digestion and it will clean the colon. Spices can also be used in this same function, ginger and tumeric are both beneficial for cleansing the kidneys and tumeric is also an anti-inflammatory agent and is useful in reducing inflammation if it exists. All of the above will maintain renal health and should become an integral part of your day to maintain a dialysis free future.